PAMECA V | Seminar on Budget Planning and Management for the ASP staff. Seminar on Budget Planning and Management for the ASP staff. Home News Seminar on Budget Planning and Management for the ASP staff. “On 27, 28 and 29 May 2014 PAMECA IV organised a seminar on Budget Planning and Management for the ASP staff. The target audience was employees from the ASP Directorate of Budget and Finance, Directorate of Economy and other relevant ASP staff dealing with the budget from each ASP Department. The participants were introduced to the concept of New Public Management and the concept of New Public Financial Management. The participants got considerable knowledge on the International Standards of Public Sector Accounting (IPSASs), the international board issuing them and the approval procedure. 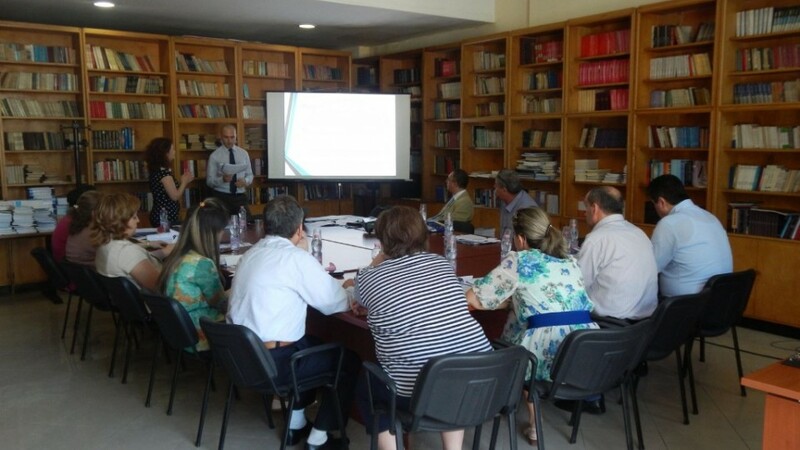 The ASP employees dealing with the preparation of budget and the financial statements were specifically trained on the IPSAS 24 on Presentation of Budget Information in Financial Statements and the European Union Accounting Rule 16 on the Presentation of Budget Information in Annual Accounts.